Abso-bloomin’-lutely! Much as I admire Tolkien, his take on dwarves has prevailed in fantasy circles for too long now. My own dwarves are inspired by Snorri and the sagas on the one hand, and by Ukko from 2000AD’s “Slaine” on the other. One particularly intriguing thing about Old Norse dwarves: I think I’m right in saying that nowhere in the Edda does Snorri actually state that dwarves are smaller than humans. One would think that the word “dwarf” implies smaller, no? Who knows what the original word in old icelandic is though. 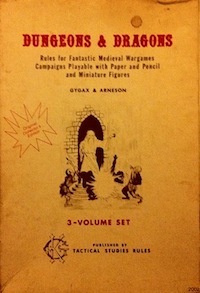 The word is “dvergr” (from which Gary Gygax derived “duergar”). The etymology is somewhat obscure but almost certainly has nothing to do with size. We use “dwarf” to mean small because dwarves have become small in folk tradition, but they were not necessarily always thought of as little people. I think Mr. Carver’s point was that it is valuable to return to the source, not that the Prose Edda did not influence Tolkien (though he can correct me if I am incorrect). Of course he was! Tolkien probably knew and understood that material better than anyone else in his lifetime. He chose to present the myths in a particular way, based on that knowledge but not shackled by it. For example, in some of the Eddic material, dwarves are turned to stone by sunlight. Tolkien used that for trolls but ignored it for dwarves. He also left out their maggoty genesis as quoted by Brendan. My point was that his work is now more famous than the original myths, and therefore nowadays when people think “dwarf” they think of the good Professor’s version. But other options are available. Whoops, you beat me to it. Most of the dwarves from The Hobbit and Gandalf are there! And “Althjofr” means “All-thief”. I don’t know why they didn’t think of taking him along as number 14 instead of Bilbo. Maybe just as well though, as it turned out.